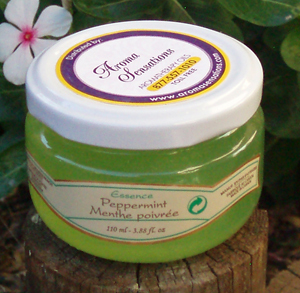 We have described our Peppermint essential oil and how it can enhance your lifestyle below. Peppermint is a wonderful stimulant. It's great for work or in the car when you really need to be alert. You can also use it for fainting, headaches, migraines, sea & travel sickness, vertigo, nervous tension, stress, bronchitis and asthma. Because of its antispasmotic qualities, do not use if pregnant.